Operation Case White (German: Fall Weiss), also known as the Fourth Enemy Offensive, was a combined Axis strategic offensive launched against Yugoslav Partisans throughout occupied Yugoslavia during the World War II. The Axis launched this offensive in order to destroy the Partisan movement and secure the territory that the Allies might invade. A meeting was held on January 2nd and 3rd 1943 in Rome. This meeting was attended by the Chief of the Italian Supreme Command Marshal Cavallero, the German Supreme Commander for Southeast General Alexander Löhr and the Commander of the 2nd Italian Army General Roatta. They adopted the general idea of the performance of winter operations against People's Liberation Army (the official name for the Partisan movement in Yugoslavia). 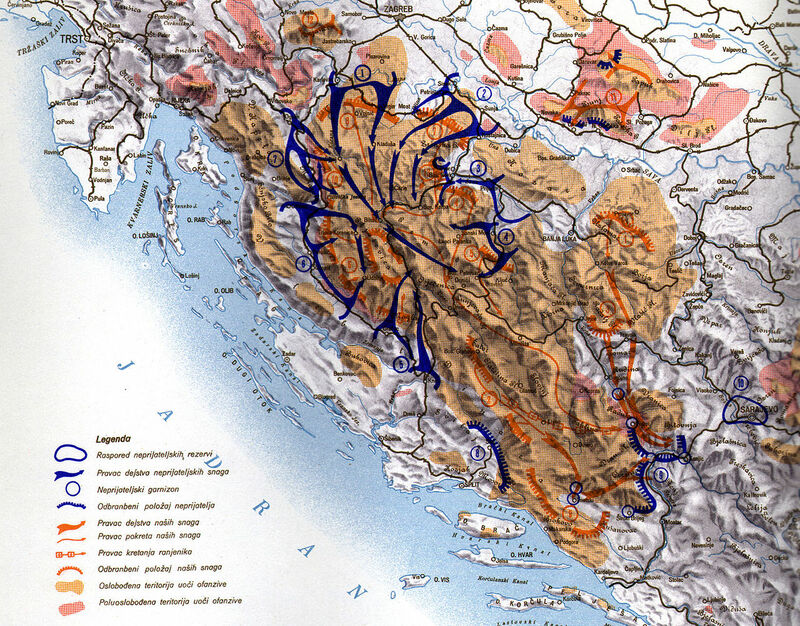 According to this idea, the winter campaign foresaw more consecutive operations and battles in the area between the river Kupa in Croatia and the Montenegrin border. These operations were later given the official name "Operation Fall Weiss" and Hitler personally approved the plan of operations. 3. Weiss III - disarm the Chetniks in eastern Herzegovina. This phase was cancelled in early February 1943. German Corps "Croatia", under the command of General Rudolf Luters, consisted of the following units: 7th. SS „Prince Eugene“ reinforced with 1st Domobrans Batallion with 22.000 soldiers, 369th Division with 14.000 soldiers, 717th Division reinforced with 202nd Tank Battalion with 7.000 soldiers and 714th Division with 5.000 soldiers. Corps, in its composition, had 30 German and 5 home guard battalions, 30 batteries of artillery, 40 tanks and the support of 5 German and 3 Ustasha squadrons with a total of 100 aircrafts. Italian 5th Army Corps consisted of the following units: "Lombardy" division with 5.000 soldiers, "RE" division reinforced with two tank companies with 12.000 soldiers, "Sassari" division of 10.000 soldiers, Ustashas with 2.000 soldiers and 1.000 Chetniks from Lika. The Corps were supported from the air by 50 aircrafts. 1. 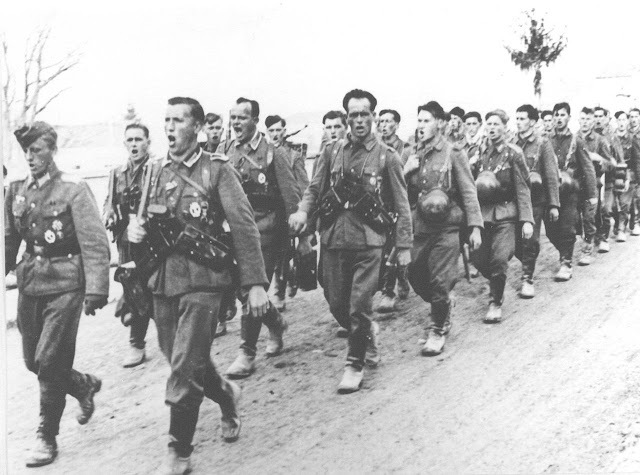 1st Croatian Corps, under the command of Ivan Gošnjak, comprised of the following units: 7th Banija Division, 8th Kordun Division, Primorje-Gorski Kotar groups of brigades and 6th Lika Division, with the total number of around 16.500 soldiers. 2. 1st Bosnian Corps, under the command of Kosta Nađ, comprised of the following units: 4th Krajina division, 5th Krajina division, and Howitzer Battalion; a total of around 11.000 soldiers. Operation Weiss I began on January 20th 1943, at 4 a.m. 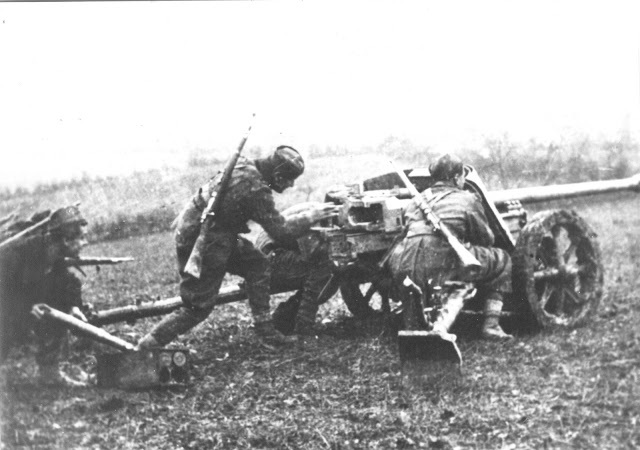 The German 7th SS division attacked the positions of 8th Kordun Division. The German 369th Division performed in the same direction. Aim of the attack was to reach the line Bihać-Petrovac in one day. Fighting in this area was characterized by a series of attacks and counter attacks. 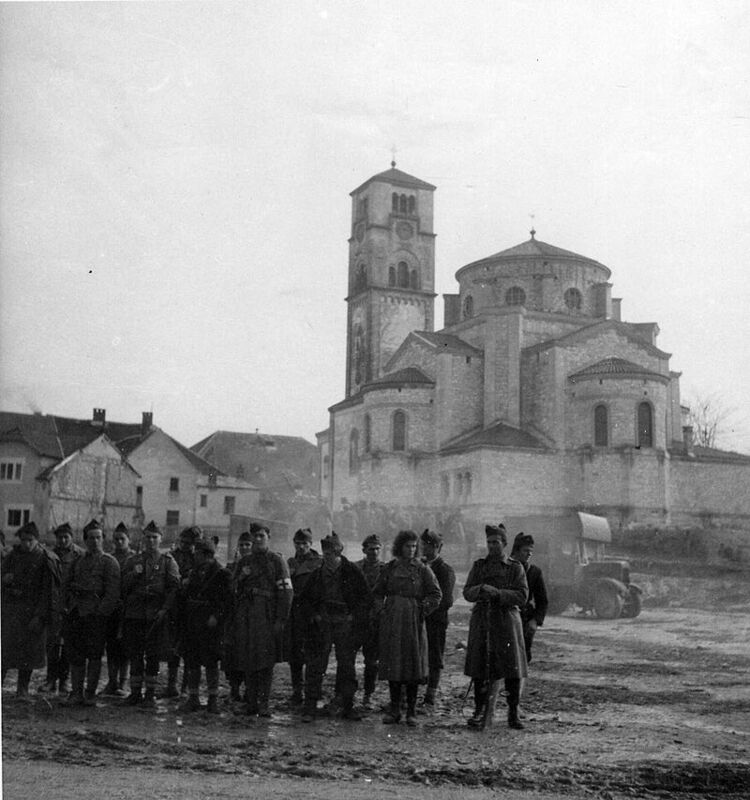 After ten days of fighting, the German 7th SS Division managed to reach Bihać. During this time, the most powerful German division failed to surround and destroy any Partisan unit. Reason for failing lied in the organized defense that thwarted the plans of the Germans. The Italian divisions "Lombardia", "RE", and "Sassari" were tasked to advance through the northern Dalmatia. These divisions clashed with the 6th Lika Division. Fighting in this area is characterized by the fact that whatever the Italians conquer during the day, the Partisans re-conquer during the night. Before the beginning of operations, the German leadership was considering the effectiveness of the 2nd and 5th Krajina Brigade and the First Proletarian Division, north and east of Banja Luka. They came to the conclusion that there is a possibility of an attack on Banja Luka. As a result, the 714th division was defensive-oriented and completely excluded from activities in the operation Weiss I. 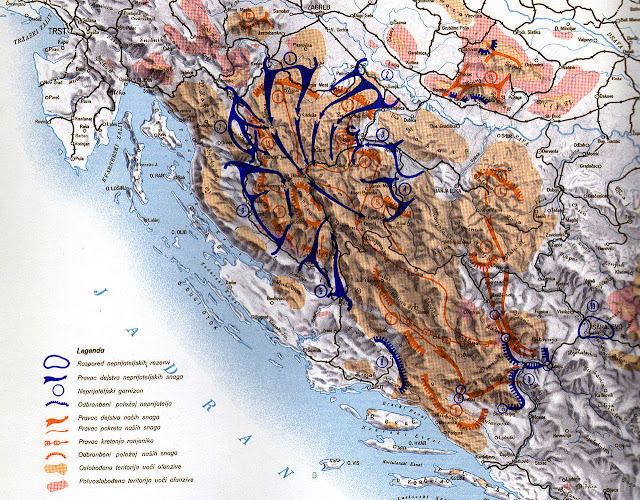 717th Division had a plan to act between Sanski Most and Bosanski Petrovac. On that way, they were supposed to encounter the 369th Division coming from the opposite direction and thus close the ring around the Partisans. Even though they had the support of aviation and tanks, the 717th Division achieved only modest results in the first three days. The 6th Krajina Brigade attacked the flank of 717th Division on January 25th. That attack virtually destroyed the 2nd Gorski Zdrug (Domobrans). 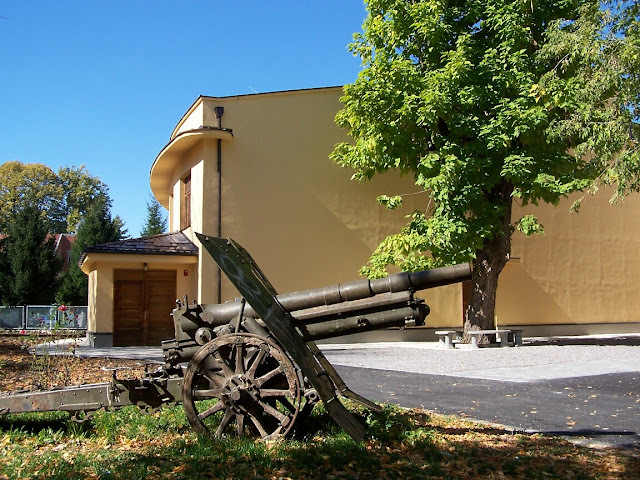 In the fights near the village Benaković on January 28th and 29th, the 4th division managed to surround the 737th regiment of the 717th division, but failed to destroy it. Although People's Liberation Army had a well-organized defense and performed well-planned counter attacks, they had to start withdrawing gradually. 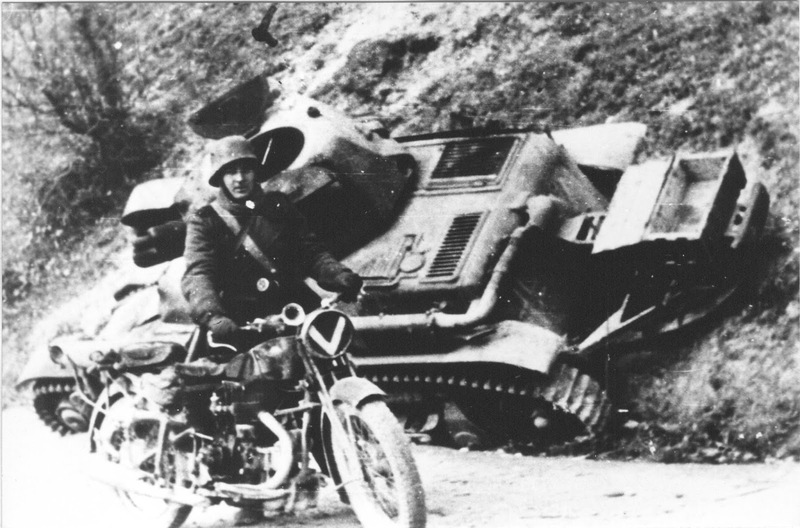 The 7th Banija Division withdrew from Bihać on the night between January 28th and 29th. Around 15.000 civilians retreated together with the units. The German 717th Division and the 7th SS Division merged near Petrovac on February 8th and thus closed the circle around the Grmeč Mountain. Three brigades of the 4th Krajina Division found themselves in encirclement with a large number of refugees. During the night of February 12th, the 5th and 6th Brigade came down a cliff, smashed a small German detachment and thus broke the encirclement. At the same time, on the other side of the mountain the 2nd Krajina Brigade also made a successful breakthrough, along with 15.000 civilians. The German command was convinced that they surrounded the main Partisan forces; therefore they did not undertake serious measures against these units. Operation Weiss I ended after a month of fighting. The Germans succeeded to conquer the Partisans’ free territory that they called "The Tito's State". The German command failed to destroy the Partisan units. The 1st Croatian and 1st Bosnian Corps have suffered considerable losses, but all units of the Corps remained compact and able to fight. After this operation, the German General Alexander Löhr noted the increase of authority and influence of partisans. The Italian 5th Army Corps suffered heavy losses. After these failures and losses, the Italians have suspended offensive operations and retreated to the garrisons along the main roads. Like your research and in the years to come will be doing operation case white in the comic Houseofhengist.blogspot.com so I hope you can kindly help me do this justice and as such would love your help.